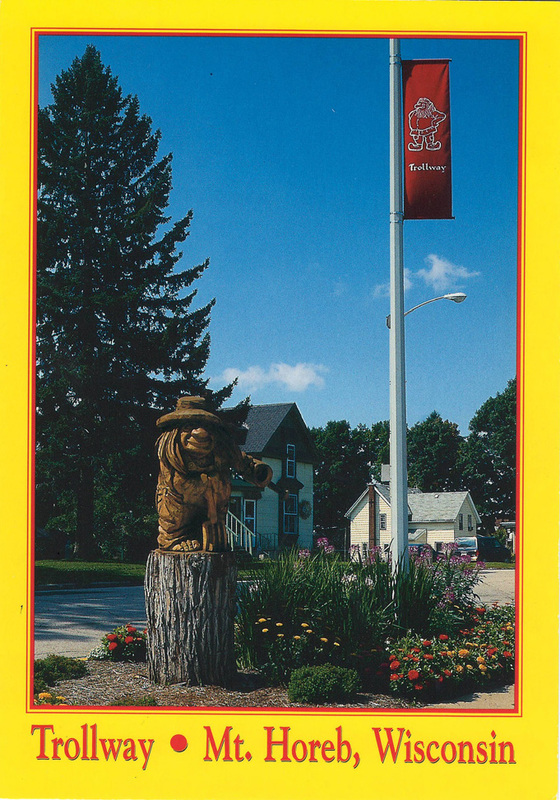 This banner, designed by Holly Van Camp and printed on red canvas, was the first of its kind to specifically promote the troll theme in Mount Horeb. 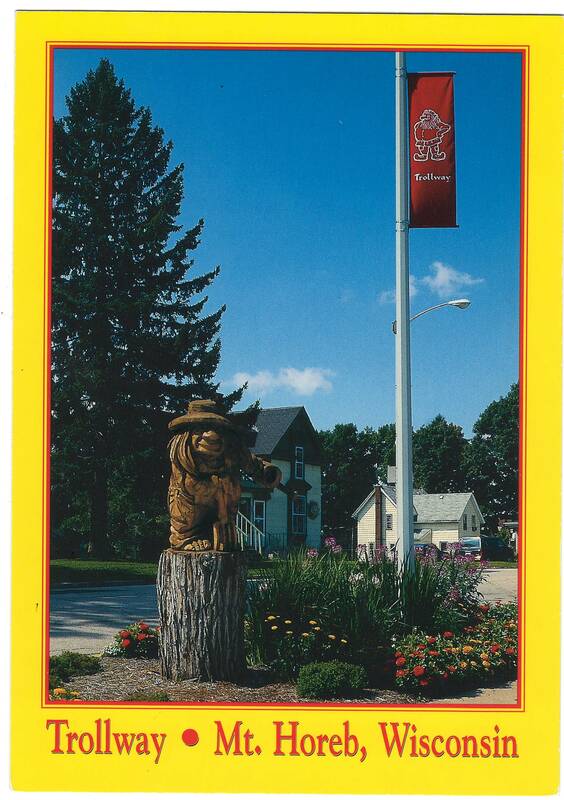 Hung from light poles along Main Street, the stylized trolls beckoned visitors to explore the “Trollway.” The last artifact of the exhibit, it is an eye-catching exemplification of the area’s distilled ethnicity. And current local marketing strategies indicate the troll is here to stay. In fact, in August 2016, the Mount Horeb Chamber of Commerce filed for a U.S. federal trademark for the moniker, “Troll Capital of the World.” Trunk to trolls—oh, what a long way we’ve come!